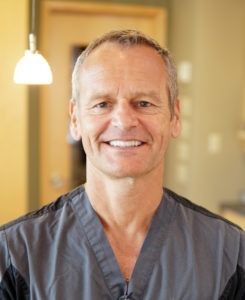 Dr. Paul Hul is a NW Calgary General and Family Dental Clinic who provides comprehensive dental care for your entire family including Cosmetic (Restorative) Dentistry in our North West Calgary Family Dental practice. At Point McKay Dental, our Dental Clinic always strives to create a welcoming and friendly environment to help make you feel comfortable during your dental treatment. As a North West Calgary Family Dentist, Dr. Paul Hul offers a wide range of Dental Services, tailored to meet the unique needs of your family. Whether you are looking for Emergency Dental Care, Cosmetic Dental Options, Family Dentistry or Children’s Dentistry, Point McKay Dental is committed to ensuring you and your entire family to achieve and maintain healthy teeth and gums for a lifetime of dental health and wellness. We thank our loyal patients — it is our pleasure to serve you. We fully realize that it’s you that has made us a successful dental clinic. We’re growing strong, and we thank you for giving us the opportunity to be your local NW Calgary dental office. Most of you have been our patients for a very long time. We appreciate your continued trust and patronage. We also thank you for the high volume of referrals we receive from you recommending our services to other people. In fact, we do very little for sales & marketing as your “word of mouth” has indeed been our best advertising. We’re happy that we’ve had the pleasure of growing with you and your families. Many of you have become good friends of ours over the years. We’re glad you’re a part of our Dental Clinic and of the Point McKay Dental family. We’re committed to becoming your lifelong dental health partner. If you have any questions or would like to request your appointment with North West Calgary Family Dentist Dr. Paul Hul, please do not hesitate to call us at (403) 283-7829.